When China refuses to talk about Bhutan and Sikkim boundaries. Yesterday, the Chinese Foreign Ministry’s spokesperson Geng Shuang stated that the border in Sikkim was well demarcated, according to the 1890 Convention between Great Britain and China and Doka La, the area of contention ‘belongs to China’. He added that Indian Prime Minister Jawaharlal Nehru endorsed the 1890 Sino-British Treaty on Sikkim in a letter to Zhou Enlai in 1959. Geng also said that successive Indian governments have also endorsed this. This far from the truth. In the Notes, Memoranda and letters Exchanged and Agreements signed between The Governments of India and China (White Paper IV for the period between September 1959 – March 1960), published by the Ministry of External Affairs, Government of India, Nehru’s letter to Zhou Enlai is reproduced (Letter from the Prime Minister of India to the Prime Minister of China, 26 September 1959)The issue of the 1890 Agreement is mentioned in para 17 of the letter. One, Sikkim and Bhutan borders need to be included in any talk on the boundary; two, India stands by the 1890 agreement as far as Northern Sikkim is concerned. It is not clear to us what exactly is the implication of your statement that the boundaries of Sikkim and Bhutan do not fall within the scope of the present discussion. In fact, Chinese maps show sizeable areas of Bhutan as part of Tibet. Under treaty relationships with Bhutan the Government of India are the only competent authority to take up with other Governments matters concerning Bhutan’s external relations, and in fact we have taken up with your Government a number of matters on behalf of the Bhutan Government. The rectification of errors in Chinese maps regarding the boundary of Bhutan with Tibet is therefore a matter which has to be discussed along with the boundary of India with the Tibet region of China in the same sector. It is exactly what is the problem today. As regards Sikkim, the Chinese Government recognised as far back as 1890 that the Government of India ‘has direct and exclusive control over the internal administration and foreign relations of that State’. This Convention of 1890 also defined the boundary between Sikkim and Tibet; and the boundary was later, in 1895, demarcated. There is thus no dispute regarding the boundary of Sikkim with the Tibet region. This clearly refers to northern Sikkim and not to the trijunction which needed to be discussed with Bhutan and Sikkim and which is today the contentious area. And once more, let us not forget that the 1890 Treaty was an unequal treaty as Tibet, Sikkim and Bhutan were not involved. In the Report of the Officials of the Governments of India and the Peoples’ Republic of China on the Boundary Question, India mentioned time and again that Sikkim and Bhutan (and therefore the trijunction) should be included in the agenda of the talks. The Chinese side in commenting on the Indian suggestion showed that they had a radically different conception of the procedure to be adopted for the meetings of the officials. For one thing, the Chinese side did not consider it necessary to exchange maps and descriptions for the fulfillment of the assignment given to the officials. Further, the Chinese side stated that the question of the boundaries of Bhutan and Sikkim fell outside the purview of these meetings. According to them, the task envisaged in the Joint Communique could best be taken up by both sides making preliminary general statements of their viewpoints on the Sino-Indian boundary question and from the text of these statements a list of questions could, be drawn up and such a list could serve as the Agenda for the meetings. This was not acceptable to India, as to reach a comprehensive solution for the dispute all the aspects/parts of the boundary had to be included. that since the terms of reference for the meetings of the officials were to examine factual material on the differences which had arisen between the Indian and the Chinese Governments regarding the border areas, it was not justified to exclude from consideration the boundaries of Bhutan and Sikkim. Indeed, references to these boundaries had already been made in the correspondence between the two Governments. For example, the Chinese Government’s note of the 26th December, 1959, in reply to the Indian Prime Minister’s letter of the 26th September, had dealt with the question of Bhutan and Sikkim. By the terms of the Treaties between these States and India, the latter clearly had responsibility for the external relations of Bhutan and Sikkim and at Bhutan’s request the Government of India had already represented to the Chinese Government on matters pertaining to her interests in Tibet. The question was important because there existed a discrepancy between the correct delineation of the boundaries of Bhutan and that shown on Chinese maps. Moreover, the relevance of these questions to the present dispute had been clearly affirmed by the Prime Minister of India in his talks with Premier Chou En-lai. China stubbornly refused to discuss the issue. 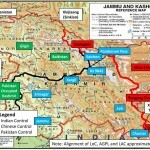 As a result, Beijing can today pretend that the boundary was fixed in 1890.
the Indian side has underlined that the two Governments had in 2012 reached agreement that the tri-junction boundary points between India, China and third countries will be finalized in consultation with the concerned countries. Any attempt, therefore, to unilaterally determine tri-junction points is in violation of this understanding. Where the boundary in the Sikkim sector is concerned, India and China had reached an understanding also in 2012 reconfirming their mutual agreement on the ‘basis of the alignment’. Further discussions regarding finalization of the boundary have been taking place under the Special Representatives framework. During the 2012’s talks between the SRs, the two Governments had reached an agreement that the tri-junction boundary points between India, China and a third countries would be finalized in consultation with the concerned countries. It was agreed that any attempt to unilaterally determine tri-junction points would be a violation of this understanding. As far as the boundary in the Sikkim sector was concerned, India and China had reached reconfirmed their mutual agreement on the ‘basis of the alignment’ and that further discussions regarding finalization of the boundary would take place under the Special Representatives framework. 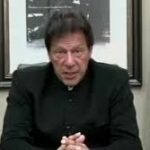 It was also pointed out that it was essential that all parties concerned display utmost restraint and abide by their respective bilateral understandings not to change the status quo unilaterally. The consensus reached between India and China through the Special Representatives process was to be scrupulously respected by both sides. A few weeks ago, China unilaterally started building a road in the contentious area; they have therefore broken the 2012 agreement. The 1890 treaty is clearly a diversion from the historical facts. It is however regrettable that the MEA is unable to explain better these facts. Writes regularly on Tibet, China, India and Indo-French relations. He is the author of 1962 and the McMahon Line Saga, Tibet: The Lost Frontier and Dharamshala and Beijing: the negotiations that never were. Well brought out Mr Claude Arpi. The Chinese are in the habit of conjuring up maps from bygone eras which have no authenticity and denying the facts of the issues at hand. Yes there is certain amount of frigidness amongst the MEA thats because as before they have no “Idea” as to whats going on and whats there on ground. Ah, this is a real gem – long way to go for the Delhi’s External Affairs diplomats !